About loss of bone mass & bone grafting. Not enough bone for implants? If you are diagnosed with a condition where there is not enough bone for implants, then this does not have to keep you from considering dental implants. Advanced implant dentistry and oral surgery techniques are now available to compensate for the loss of bone mass, and to prepare you for permanent dental implants and single, multiple or full teeth replacement procedures. At Complete Implant & Sedation Dentistry – All On 4 Clinic Perth we will always give you an accurate and in-depth diagnosis that takes into account the functional and aesthetic requirements of your case. We will give you clarity on the condition of your gums and your jaw bone, and what treatment options are available to you. How come I don’t have enough bone for implants? Bone atrophy (a process of shrinking jaw bone). This occurs after tooth loss or loss of teeth, because the jaw bone is no longer stimulated by the tooth roots, and shrinks away. When the jaw bone shrinks, it will reach a stage where there is not enough bone to install the implants, and this can be solved with a specific type of oral surgery at All On 4 Clinic Perth. Bone grafting or “graft-free” dental implant solutions: Which is suitable for me? If you have been told you don’t have enough bone for implants, we can advise you about bone grafting or regeneration (to create a healthy bone foundation for implants), or a graft-free immediate solution using limited bone availability for a still reliable method of implant teeth. Bone grafting is a process to “add bone mass” where there is a lack of bone. The graft bone material can be sourced from your own bone, or from external bone substitute materials, or donor bone. 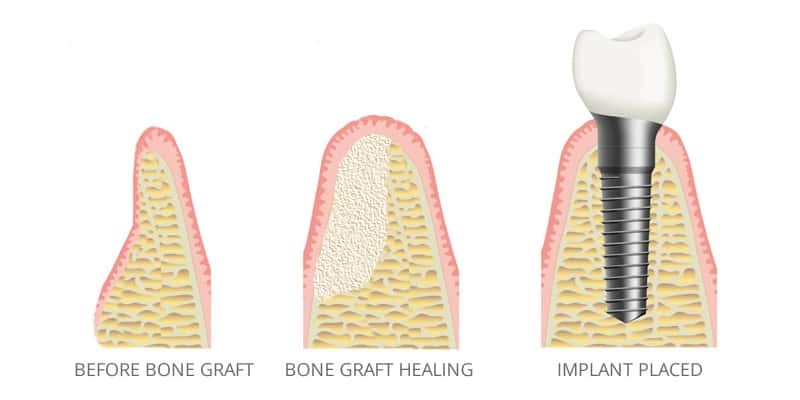 Bone grafting can be done via particulate bone in guided bone regeneration (such as “the sausage technique”), or a block of bone (such as block graft or ring graft). Bone grafting is one of the advanced treatment techniques which can be performed in comfort under IV Sedation. Whilst the bone graft is integrating, you would usually continue to wearing a temporary solution such as a denture or bridge, if needed. Once the additional bone has been integrated, dental implants can be inserted to act as a foundation for teeth. This aims to ensure a secure long term foundation of bone and gum around your implants. Graft-free implant solutions work using suitably designed or angled implants that can make good use of limited, available bone to support your new teeth, without any need for bone grafting procedures, multiples surgeries or stages of treatment. These methods are suitable for full teeth replacement (not for single implants only), and include our methods using most often All On 4 implants (or All On 4 Plus), basal implants, and in severe bone loss cases, zygoma implants and pterygomaxillary implants. If suitable for you, the benefit of graft-free options may include cost, time (usually immediate results), just one procedure and less surgical recovery. Modern methods allow for implant teeth replacement options that look and feel natural, even in cases of severe dental problems, aesthetic issues and lack of bone. And these solutions are all available in the comfort of I.V. Sedation in our purpose-equipped facilities in Subiaco. Dr Misagh Habibi and the team at All On 4 Clinic Perth have developed a particular expertise in complex dentistry, implantology and oral (dento-alveolar and periodontal plastic) surgery. He performs advanced full mouth rehabilitation techniques on a regular, day-to-day basis. You can even ask to see results of cases similar to your own. 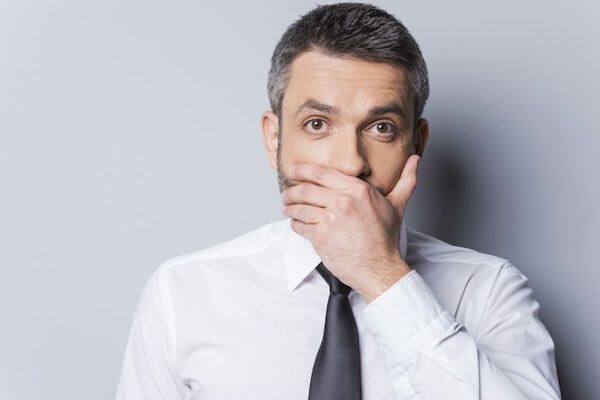 So if you have been told that there is not enough bone for implants, or you wonder if your jaw bone is suitable for implants or not, please contact us for an assessment.